The offers are rolling in now, and this time it's Boots.com giving away £10 of extra advantage card points for EVERY £75 you spend online. If you're planning on buying gifts from Boots for Christmas, now is a GREAT time to do so. I'll definitely be up for doing this one - and will save my advantage card points for the sale in the new year! Another offer this week that I thought worth a mention is their 'Star Gift of the Week' (shown at the top of the page) which is a lovely 'Complete Home Spa collection' from Champneys Spa, available for £24 (usual RRP £50) and would be a great Christmas gift! 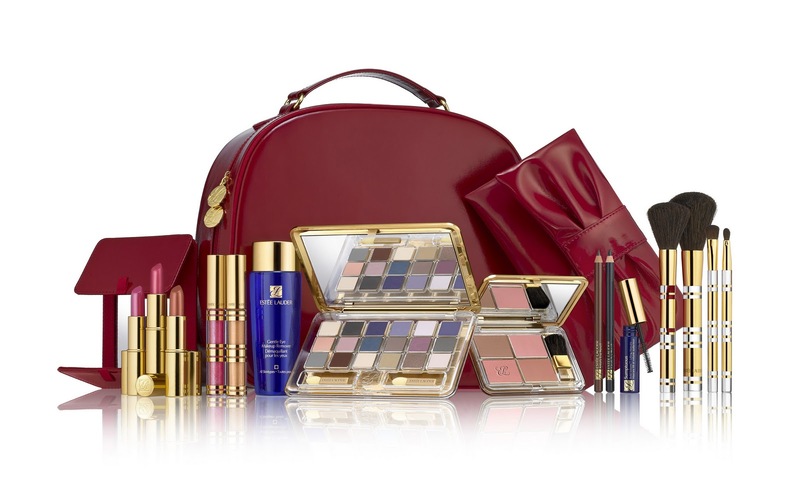 Four travel size makeup brushes, a mirror and a companion case"
I think this is a stonking deal and have always found myself lusting after these Estee Lauder collections, so I think this year might be the year that I actually remember in time to purchase one. Plus you also get travel sizes of their Perfect Cleansing lotion and Sensuous perfume with your 2 purchases as an extra bonus!